Card of the Day ~Go Forward Fearlessly~ This card is a sign that you’re on the right path and that it’s safe for you to move forward with your plans. As long as you hold intentions that are focused on your heart’s desire, your steps will be automatically poised in the right direction. Right now it’s important for you to take action-no matter how small or seemingly inconsequential-toward your desired outcome. 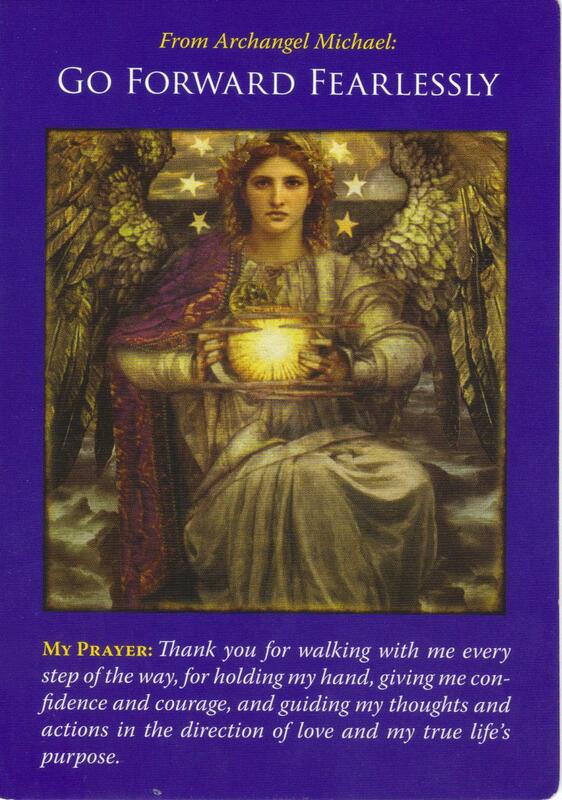 Ask Archangel Michael for guidance by saying “Please show me the next step,” and he’ll come to your aid. And all the while, he’ll also be protecting and supporting you through these significant life changes. Often we let our fears get in the way of our hearts desire and start to make excuses why we can’t do it. 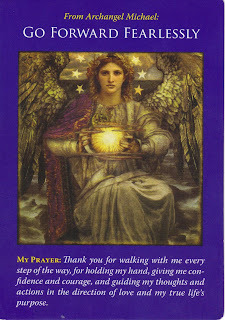 This is the time you need to call on the Angels for help because the unknown can be very scary. You can do this and when you do, you will be so proud of yourself. I pray you have a fantastic day. I love you All!